with you, as music is a really big part of my life. 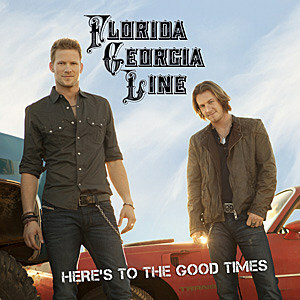 My new cd purchase is Florida Georgia Lines "Here's to The Good Times". I had heard their single on the radio and liked it but they really hadn't won me over until I heard a song on an EP titled "Black Tears", it's not like alot of other songs by FGL. It's on more of a sad note. But it's one of those haunting yet beautiful songs. Jason Aldean cut it for his new album "Night Train". I didn't even know the CD had been released until I walked past the CD rack at Walmart and saw it, So I grabbed it and I'm glad I did. The album in a whole is very good. Some tracks from other albums you'll just want to skip but not on this one, It's very good. Just a fun listen! I'd say FGL is a mix of sounds similar to Brantley Gilbert and Jason Aldean, Country with a Rock N Roll edge.